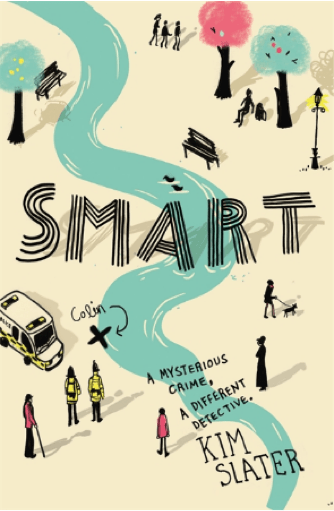 One thing that everyone seems to really love about Smart is its beautifully illustrated cover. It really stands out and serves as an excellent representation of the book’s content. When I first got my book deal with Macmillan Children’s Books (MCB), my agent told me they were going to give the book an iconic cover. And boy, didn’t they just? The amazing illustrator, Helen Crawford-White did a fabulous job as did the entire art department at MCB. But the final version was the result of a rigorous and fairly lengthy process and began as a pooling of ideas between myself the author and my MCB Editor, Rachel Kellehar. Publication date for the book is 5th June 2014 but the cover process began way back in June 2013, when Rachel emailed me with a Cover Dialogue. This was basically where we both discussed our ideas and impressions that could be moulded into the beginnings of a vision for the cover. Fourteen-year-old artistic genius, Kieran Woods, is used to being the outsider at school and in his own family. So when he discovers the body of a homeless man floating in the river near his home, he has no problems taking a different viewpoint to most people, including the police. He is convinced there has been a murder. Kieran is brave, sensitive and bold and lives in a world that doesn’t want to bend to a different way of thinking. When he has an opinion he tends to voice it, which doesn’t always go down well but usually contains some truth. His abusive stepfather and brother are no match for Kieran, try as they might, they can’t bring him down. He never complains, never wonders why he has such a rough deal and Kieran is fiercely loyal to those people he loves, like his long-suffering Mum and estranged Grandma. When life gets tough, he gets out of the house. Spending lots of time by himself down at the river, Kieran notices the stuff that other people pass by; the wildlife, the flow of the water. He tends to get obsessed with things and LS Lowry the artist is no exception – he is a massive inspiration to Kieran. He sees Lowry’s world everywhere in his daily life and he responds to his difficulties by brilliantly painting the way he feels. Drawing on his vast knowledge of the TV crime series CSI, Kieran is convinced there has been a murder and sets out to catch the killer, whatever it takes. Rachel and I also brainstormed to come up with a strap line, some text that would appear on the front of the book. She explained this was particularly important because the title doesn’t tell you very much about what the book is actually about. The strap line needed to convey to a prospective reader that Kieran is a bit different, a bit of an outsider for many reasons and also that there is a crime/mystery element to the story. The strap line needed to be short and to the point so that readers could quickly identify what the book was about. It would be included in the Pan Macmillan database which feeds out to all their digital outlets, metadata that helps to make a title more discoverable when people are searching online. You can see the final strap line on the book jacket below, just under the main title. From our cover dialogue, Rachel prepared a cover brief for the MCB team, who discussed our ideas and added their own input. Using the cover brief, the design team researched suitable illustrators and in October 2013 I received the first cover draft designed by the talented Helen Crawford-White (studiohelen.co.uk). I was bowled over. 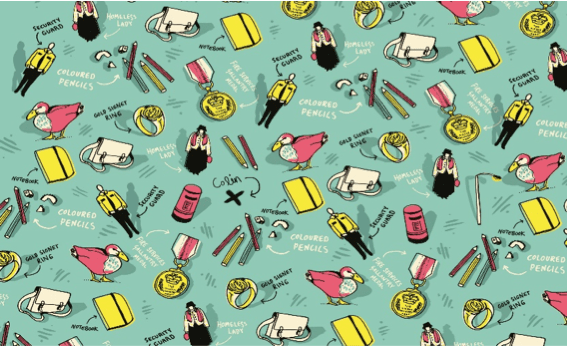 Both Rachel and I and all the MCB team loved the design, which looked as if it was a page torn from Kieran’s very own notebook. At a glance it embodied the essence of Lowry’s art and the themes in Smart. But better was to come! MCB commissioned a full illustrated jacket (see above), together with stunning endpapers for the hardback edition (see below). All in all, the cover process was a lengthy but an extremely enjoyable one and it felt so satisfying to hold the superb end result in my hands. I consider myself a very lucky author to have a publisher who invested such a great deal in the cover of Smart and gave me such input and involvement. If you want to find out more about Countdown to 5th June, you can do so at the website here. 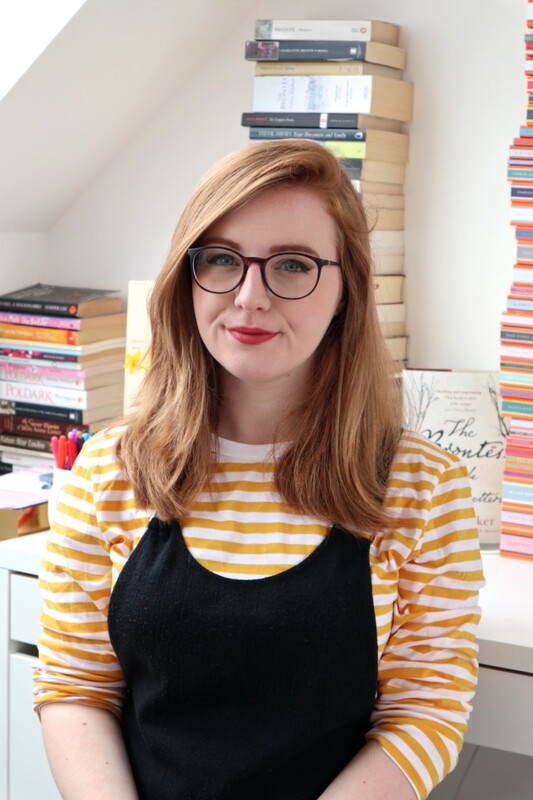 Thank you to Kim for writing this fab post!